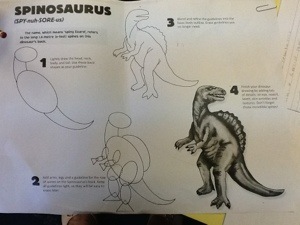 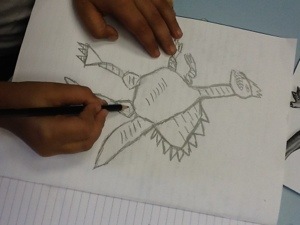 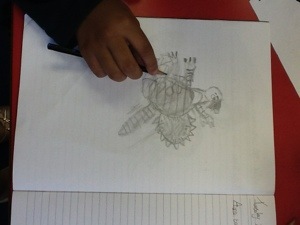 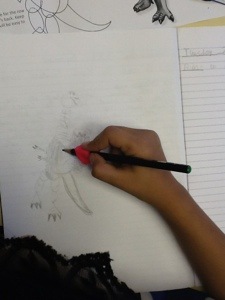 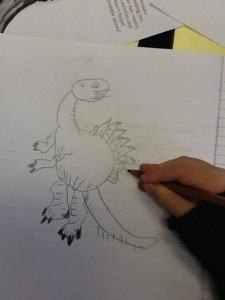 Today during topic we followed a set of instructions to sketch a dinosaur. 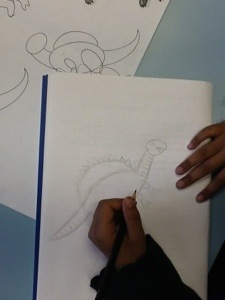 We learnt how to hold a pencil correctly and also how to show lighter and darker shades in my sketch. 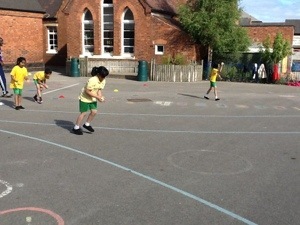 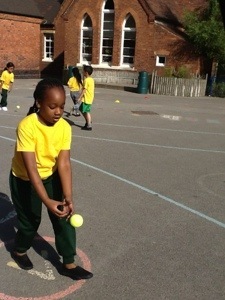 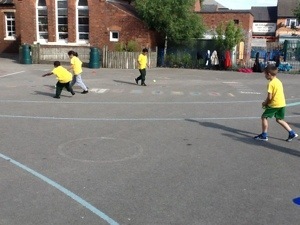 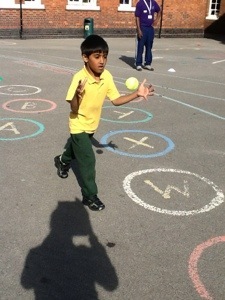 In P.E we have been working on hand and eye co-ordination to help us with our throwing and catching skills. 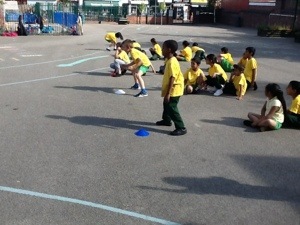 Take a look at the photographs that we took whilst we were practising in our teams. 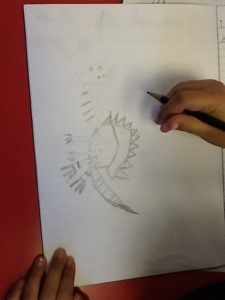 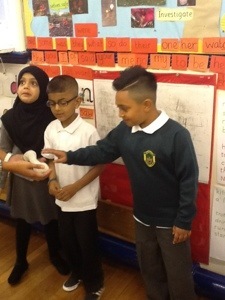 We have recorded our dinosaur reports in literacy. 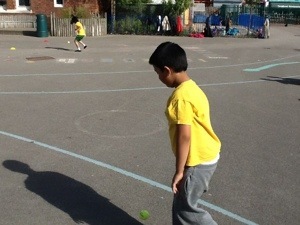 Something strange happened around school today! 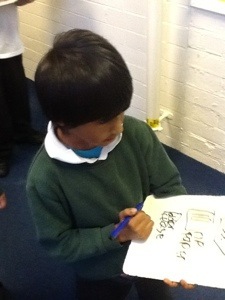 Our class was sent to investigate. 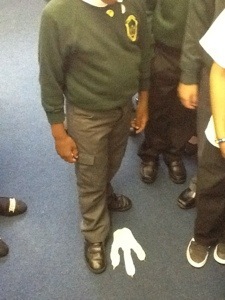 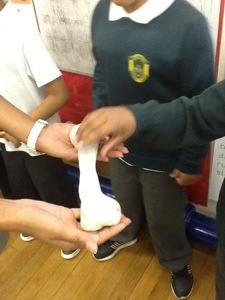 As we walked around school we noticed that there were giant footprints, fossils, bones and also bits of torn paper. 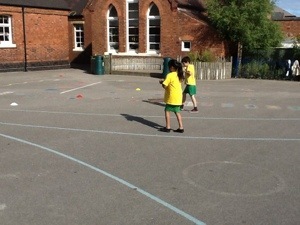 Then suddenly some of us heard strange noises and doors slamming, one of us even saw a large shadow move outside. 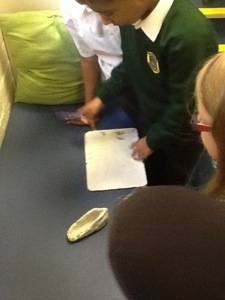 Look at the photographs and see what we discovered.